Let's get these babies home! 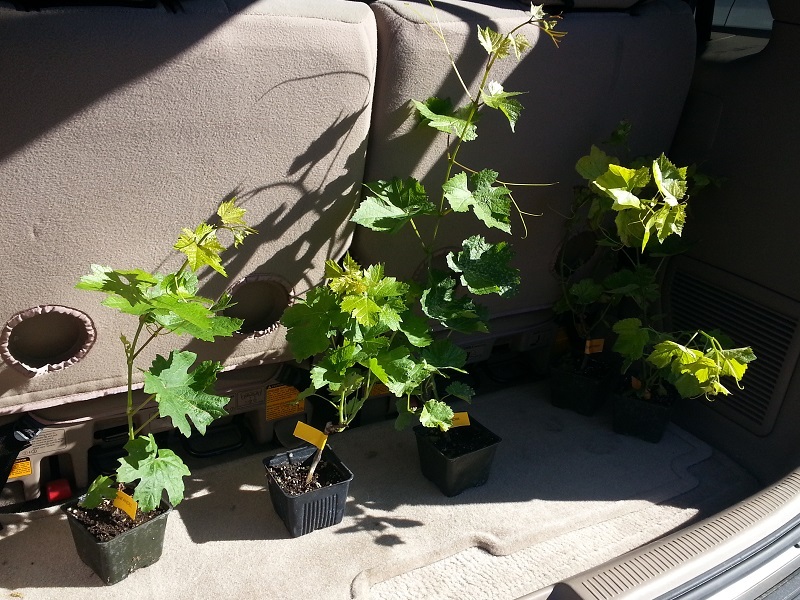 Continuing the (now) annual tradition, I have acquired 4 new grapevines from Picnic Day. This year I managed to snag a white variety to balance out the large number of red grape varieties I acquired previously.